Siddharameshwar Maharaj (1888- 1936) is a guru in the Indian Nine Masters tradition. 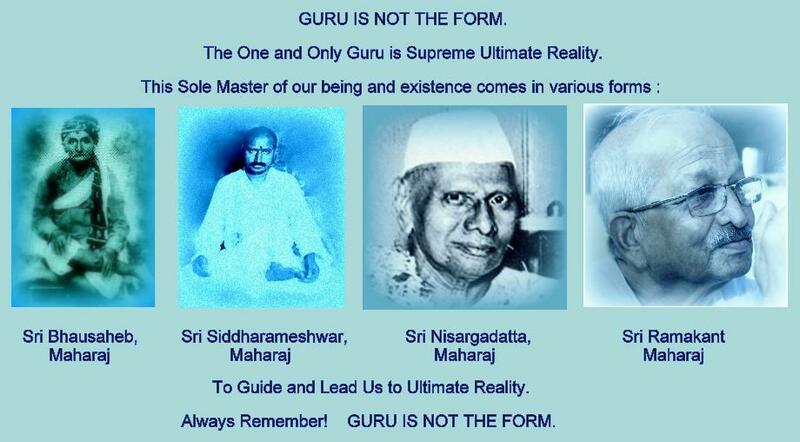 His best known student in the west is Nisargadatta Maharaj (1897-1981). Shri Samartha Siddharameshwar Maharaj is one of the greatest unknown saints of the age. He was born in the month of August 1888 A.D. in a small village called "Pathri" in the district Solapur, Maharashtra, India (near Mumbai). In 1906 he was initiated by his guru 'Shri Bhausaheb Maharaj' into the Inchegeri Sampradaya, whose goal is to educate people on final reality or eternal truth. He began teaching to his disciples in Basvana Bagevadi, Sholapur and Mumbai in the 1930s. Siddharameshwar Maharaj died on November 9, 1936 at the age of 48. It is said that dozens of his disciples became self-realized through his clear and lucid teaching. His samadhi shrine today is located at Banganga, Walkeshwar in Mumbai. "You are the Self in the heart of all"